Geo-Environmental was appointed by Barhale Trant Utilities (BTU) to undertake the ground investigation for the Hardham Water Resource Project. Various investigative techniques were employed within the existing Hardham Water Supply Works, along the route of the pipeline and temporary access road, storage pond and other associated structures. Geo-Environmental was again appointed by BTU under a second phase of work for ongoing monitoring and testing of the earthworks associated with the new storage pond before, during and after construction. 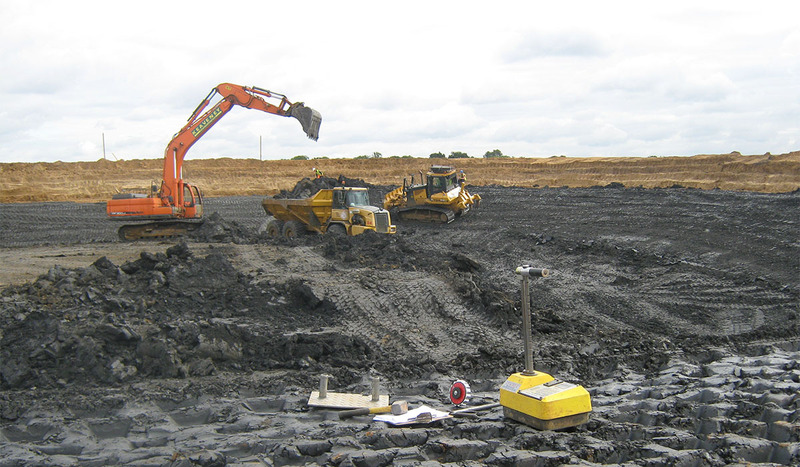 Monitoring points were installed in the vicinity of the storage pond, whilst insitu and laboratory based testing was undertaken as the works progressed. From the first stages of the site work Geo-Environmental worked in partnership with both the Client and the design team to deliver the required information within a tight time-frame during a period of exceptionally poor climatic conditions. Geo-Environmental also worked closely with land owners and other interested parties in what was a locally sensitive scheme. Geo-Environmental received excellent feedback from the Client as site works were underway within five working days of receiving instruction and critical information was presented same day, thus enabling design teams to finalise their plans without delay. Geo-Environmental worked in partnership with the contractor, designers and utility company to deliver the required information within a tight timeframe and within the agreed budget despite the remote locations, difficult access and adverse weather conditions.